Anxiety and depression are the most common mental health problems in children and adolescents. Youth with these disorders often go to their primary care physicians for referrals, but only a small number of them obtain much-needed mental health care. A new study led by researchers at San Diego State University suggests that providing a brief behavioral therapy in the pediatric primary care setting can help more young people get the help they need. The brief intervention's benefits were especially noteworthy in Latino youth, more than three quarters of whom showed significant improvement. About three in ten children and adolescents suffer from significant anxiety and/or depression that affects their ability to learn in school, form and maintain meaningful relationships, and engage in activities. The study's lead author, V. Robin Weersing, professor in SDSU's Joint Doctoral Program in Clinical Psychology, said that our mental health system is not currently suited to identify and successfully treat this many youth. Additionally, families report barriers to pursuing mental health referrals that they might receive, including stigma, limited time, transportation and financial difficulties. However, statistics show that nine out of ten kids and teens do regularly see a pediatrician, presenting an opportunity to piggyback mental health services on top of their existing medical care. To learn how effective that approach may be, Weersing and colleagues recruited 185 ethnically diverse children and adolescents ages 8 to 16 who were identified by their pediatrician as struggling with anxiety and/or depression. The study occurred at several pediatricians' offices in San Diego and Pittsburgh. Half of these youth received outpatient referrals to standard outpatient mental health care, with the researchers continuing to contact families to help ensure that they followed through with referrals. The other half of youth received brief behavioral therapy (BBT) involving between eight and twelve weekly 45-minute therapy sessions at their doctor's office. The BBT intervention involved learning and practicing strategies that would help youths face their fears and participate in daily life activities—school, social, and family—that they had previously avoided. No psychiatric medications were prescribed as part of BBT. "In these interventions, kids learn not to withdraw from what's upsetting them," Weersing said. "Slowly they learn to approach and actively problem solve. Step by step, they re-engage with the tasks that they need to do or want to do, but previously struggled to do, because negative emotions were in the way." After 16 weeks of receiving either outpatient referrals or the BBT intervention, youth and their parents completed interviews and questionnaires that assessed anxiety and depression symptoms. While 28 percent of youth in the outpatient referral group improved significantly, more than twice as many (57 percent) in the BBT group showed significant improvement. The results were even more dramatic for Latino children and adolescents: An impressive 76 percent showed significant improvement in the BBT group, while only 7 percent showed significant improvement in the outpatient referral group. The researchers published their results this week in the journal JAMA Psychiatry. 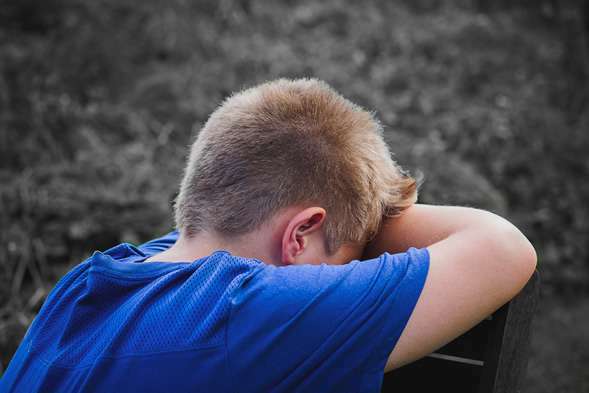 "Overall, we view this study as providing really promising evidence that anxious and depressed kids can be treated safely and effectively within their pediatricians' offices," Weersing said. "This has great promise for improving access to care, particularly for Latino youth." An editorial accompanying the paper in JAMA Psychiatry notes that use of brief behavioral techniques in the medical setting might be the only realistic way to meet the mental health needs of young people. "Bringing mental health care to pediatric primary care is the only chance we have to meet the behavioral health needs of the approximately 20% of children and adolescents who are likely to develop mental health problems before graduating from high school," write the editorial's authors. "Although we still have a long way to go, the pioneering intervention … is a big step in the right direction."